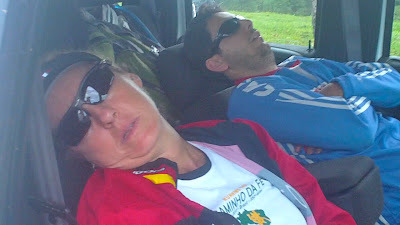 If we can cover, hopefully unscathed, the 133.4 miles on the Caminho Da Fé on Wednesday (16th) and Thursday (17th), the task that begins on Friday (18th) could make the first two days seem “easy”. The advantage of an early morning, pre-dawn start will be gone, replaced by the 8:00 AM start of the Brazil 135 Ultramarathon. 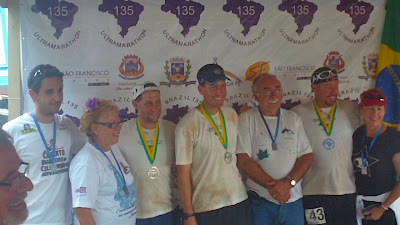 There is no doubt that we will not be able to attend the Brazil 135 pre-race activities on Thursday (as we were able to in 2011), and no doubt that the next two days at the most difficult continuous foot race in Brazil will be nothing less than formidable. 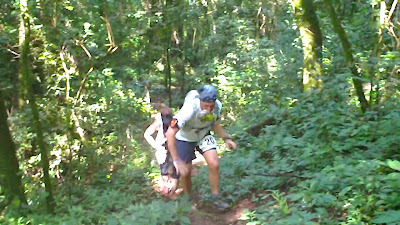 The Brazil 135 Ultramarathon is run in the Mantiqueira Mountains, a sub-range of the Andes Cordillera, and on the most difficult segment of the Caminho Da Fé. The course boasts about 30,000 feet of cumulative ascent and 28,000 feet of cumulative descent. With only ten flat miles in the race, it is said that by the time a runner reaches the finish line he/she will have completed a course that is analogous to climbing up and down Mount Everest. 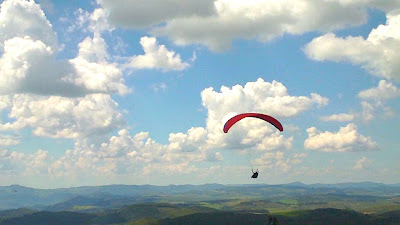 The race begins in São João da Boa Vista ("Saint John of Beauty View"), a city that was founded in 1821 by a group of miners who, after deciding to rest at the edge of Jaguari Mirim river, became so astonished by the exuberant view that they decided to build a town. 14 years later the town was claimed as a district. In 1859 it became a city, and in 1885 a judicial district. Águas da Prata (a familiar locale – the city that hosted the ending of Day 2 of the run) is the next major stop along the way, featuring its waterfalls, cascades, natural and artificial lakes, hiking trails, and rivers enriched by spring of mineral water. The city owes its name and existence due to the large amount of minerals found in its waters. From there the route moves to Andradas, a city that offers many natural beauties and a pleasant mountain climate. Andradas produces, among other things, wine, coffee, candy, dairy products, textiles, ceramics and furniture. The next segment of the Brazil 135 Ultramarathon features smaller towns and villages such as Serra dos Limas, Barra, Crisolia, Ouro Fino and Inconfidentes. Inconfidentes is well known for its hospitality. Ouro Fino houses San Francisco de Paula Shrine and Our Lady of Fatima (the church is considered one of the prettiest in Minas Gerais). Brief visits to Borda da mata, Tocos do Moji and Estiva will follow. Tocos do Moji is nestled between mountains and is the youngest city in the South of Minas. It boasts a pleasant climate, clean air and pure water. Estiva presents a predominantly mountainous topography and is known as the "Land of Strawberries." Consolação is the smallest municipality of the circuit, but this "town of comfort" is rich in natural beauty. There are still many wild forests and waterfalls waiting to be discovered here. Consolação is a major producer of strawberries and is the last major stop on the way to the finish line in Paraisopolis.